First came my dog Tidbit and it was not long before that little pup became my shadow. But what would happen when she was left home alone? Oh my! Tidbit did not like being left alone! She only chewed a time or two, as I learned quickly to have plenty of chew toys lying around for her if I planned on being gone for any length of time. Wood was Tidbit's favorite thing to chew on as a pup. Being part of a tree service family made it easy for me to accommodate her choice of chew toys. Really! That dog loved chewing on a chunk of wood. And, it kept her from chewing the wooden furniture! Unfortunately, all the gnawed-up wood droppings from the dog had my floors looking wood chipped just like the yard. And I don't think my floor sweeper appreciated Tidbit's chips! Of course, puppy Tidbit wanted to play anytime she wasn't sleeping. Her favorite play toy was a tennis ball. But of course, she wanted someone to toss the ball and she chose me! Tidbit, being an only dog child, appeared bored silly when I was not around. Ah! The cure for that I soon found! Along came puppy Scratch and now there were two dogs in my house! Sure, two-dog ownership meant a bit more work and two dogs were more expensive for me, but mostly it was double the pleasure in a give-and-take game with the two girls and me. Best of all, they kept each other company! 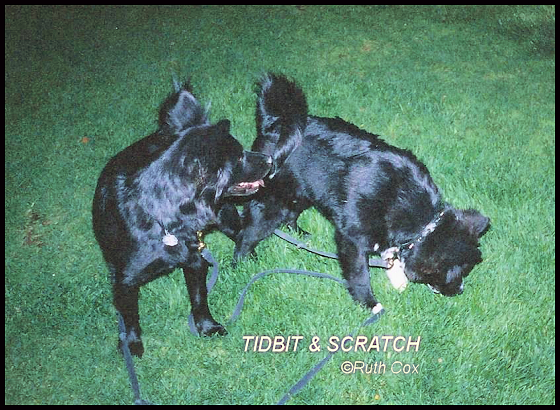 My two dogs were inseparable, naturally, as Scratch was Tidbit's daughter. 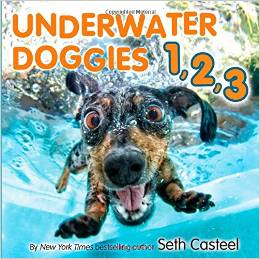 Yes, Momma was the alpha dog but for the most part that worked for them and they were the perfect pair of canine friends. Best of all, Tidbit no longer seemed to suffer from separation anxiety when I left the house. All she had needed was some company. 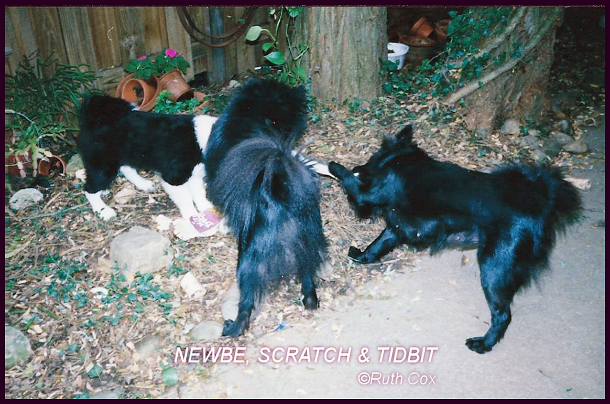 A couple of years later, along came NewBe—and then there were three! Are you counting with me? I truly enjoyed living in a multi-dog household. 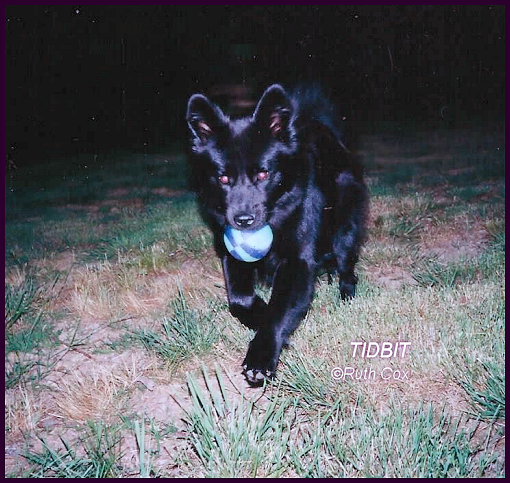 At the same time, I rather enjoyed my time when it was just Tidbit and me, too. Yet I sometimes felt as though I were denying her the company of her own kind. 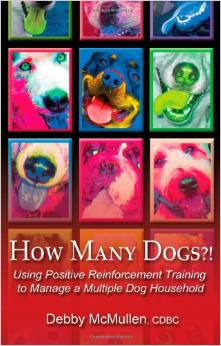 How many dogs do you feel are too many or too few? Tidbit, Scratch, NewBe, and I invite you to blog hop along with us on Saturdays (or anytime throughout the week.) 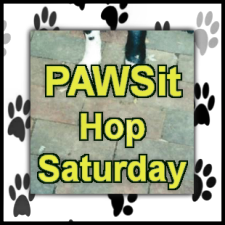 Share a dog story of your own by adding your blog post link here on PAWSit Hop Saturday. Please grab our badge and link right to this blog post so others may find us.